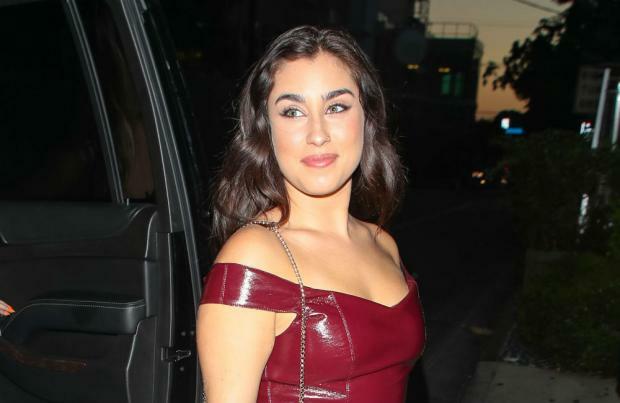 Lauren Jauregui feels inspired by Lana Del Rey. The 22-year-old singer has revealed she is a long-time fan of the American star, admitting she "died" the first time she listened to one of Lana's records. Speaking to Teen Vogue magazine, Lauren shared: "Born to Die' was the first song that I ever heard of Lana's and I died. "I was like, 'Who is this b***h? I need to know more about her.' So I looked up all her music and to this day I have her entire discography. "My favourite lyric ... is, 'Don't make me sad, don't make me cry, sometimes love is not enough and the road gets tough, I don't know why.'" Lauren first found fame as part of the chart-topping girl group Fifth Harmony, but she has recently become a solo artist. And Lauren has revealed that she's been experimenting with different sounds ahead of releasing her first solo album. She previously said: "I've just been kind of exploring. I'm letting it be as organic as possible. "I've been writing a lot and just kind of exploring myself, and you know, with each song it kind of has a new life so sometimes I'm creating it from scratch. So it all depends." Lauren explained that although she's been "gravitating" towards guitar sounds during her recording sessions, she's still not sure what her solo album will sound like. The singer explained: "I'm gravitating a lot towards guitar, more towards alternative mixed with R&B sounds, so it's kind of like, in that realm. But I'm not really 100 percent set on any tone yet."